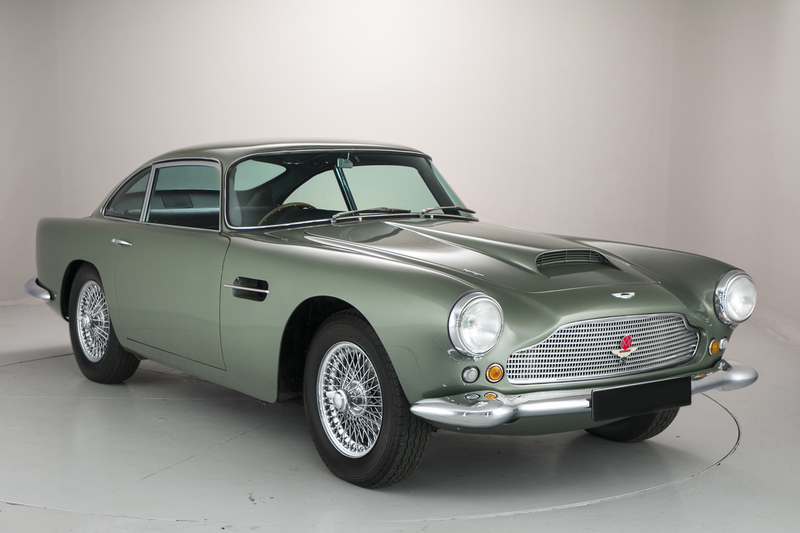 The Aston Martin DB4, unveiled at the 1958 Paris Salon, was state-of-the-art for its time. A unique masterpiece of robust British engineering combined with exquisite Italian styling designed by Touring of Milan. The series II was launched in January 1960. The sleek body utilised Carrozzeria Touring’s famed Superleggera (super light) structure, a skeleton of small-diameter steel tubing covered by hand-formed aluminium body panels and all round glazed vision. 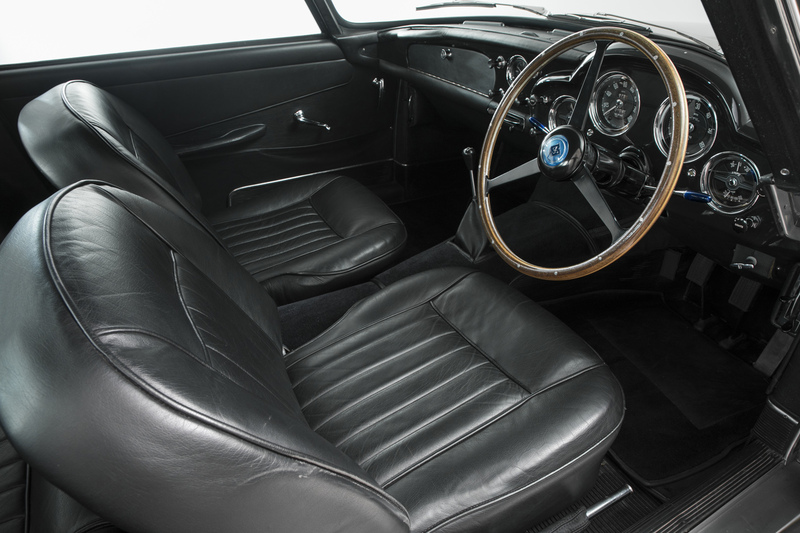 This design enabled the DB4 to achieve a lightweight elegance that was particularly handsome on the DB4s shorter 98-inch wheelbase before the later DB models became larger and heavier. It used the powerful new aluminium twin overhead camshaft 3.7 litre straight-six engine that had just been developed for the DBR2 setting a new sports car lap record at Silverstone. 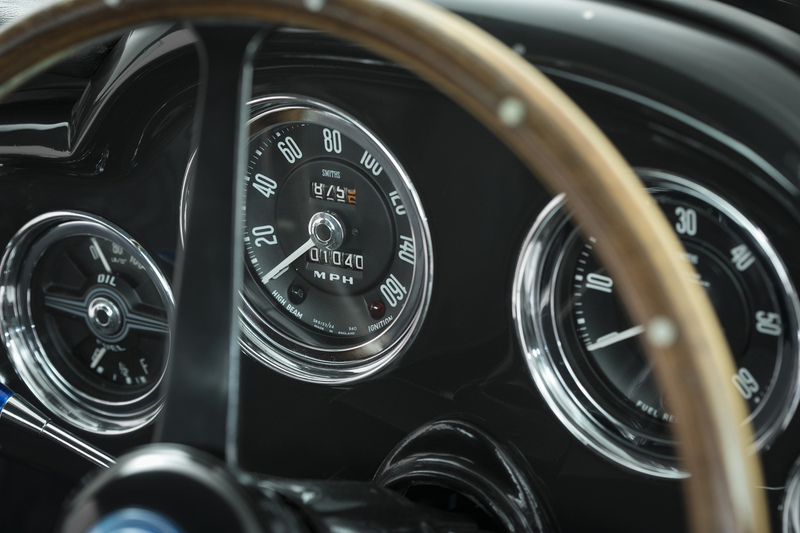 Achieving 240bhp at 5500rpm as advertised, the DB4 with its all new lightweight body achieved speeds of 140mph. To world acclaim, the DB4 was officially tested ‘to accelerate from 0-100mph and decelerate from 100 mph to rest’ – in an incredible time of just 26.2 seconds. Whilst there were many minor modifications on the series II, many of these were under the skin. Maybe the only easy way so separates a Series I from a Series II is the adoption of opening rear quarter lights made with flat glass rather than curved. 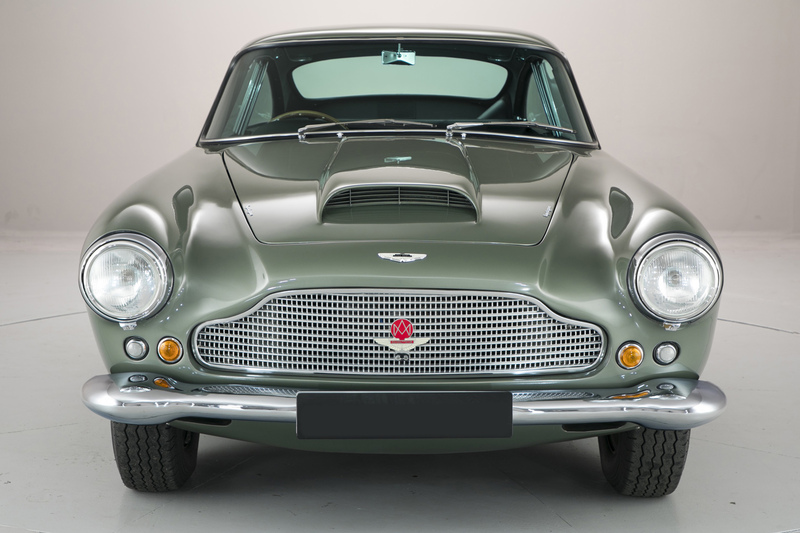 The DB4 has long been regarded by Aston enthusiasts as the purist example, with its exquisite proportions and nimble handling. Of all its five incarnations, the Series II, combining ‘cathedral’ rear lights, ‘egg crate’ front grille and deep bonnet scoop, with the successful resolution of the issues such as oil cooling, experienced on the earlier cars, is the most sought after model of the range. 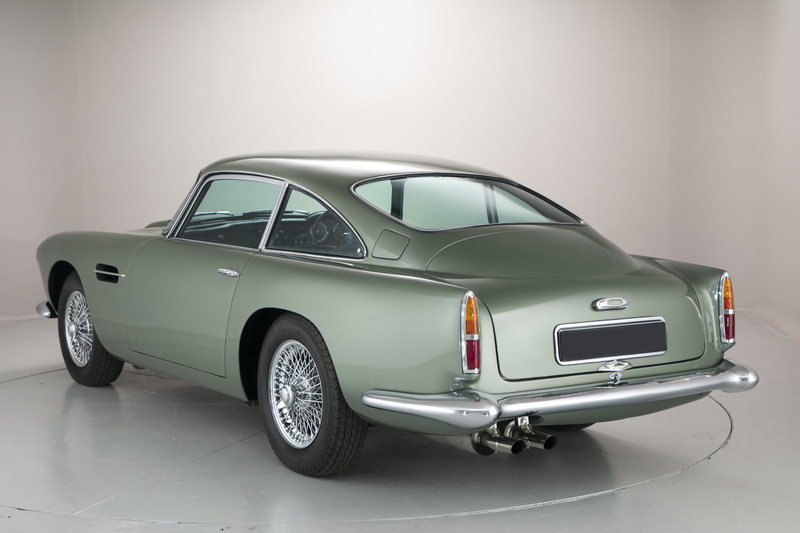 According to its accompanying Aston Martin Ltd (AML) Build Sheet and Service Records, this particular Series II example – chassis number DB4/415/R – was supplied new via Raymond Mays to Rowland Hunt Esq. of Aswardby Hall, Spilsby on November 11th 1960. Acquired by watchmaker Bentima Co Ltd of 168 Old St, EC1 the following April. a copy continuation logbook on file shows that ownership later transferred to James Mario Elliot of Carlisle Place, SW1, Brenda Diane Making, Anthony Elliott and C. Benge (interestingly, the latter three all quoted 28 Carlingford Road, Morden, Surrey as their address). 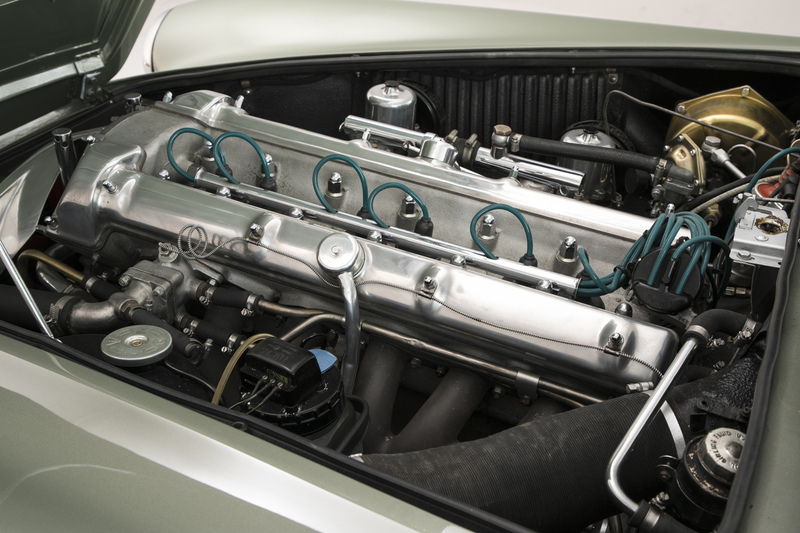 The same document also reveals that the DB4 was upgraded with a later series powerplant during the 1960s (engine number 370/894 supplanting 370/487). 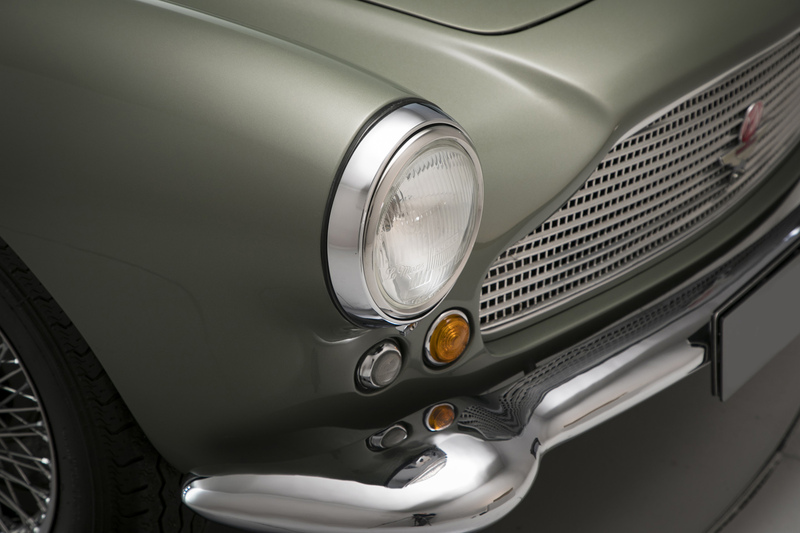 Early DB4 engines were prone to failure hence the reason that Aston Martin added an oil cooler to its specification as the model evolved. Part of a private European collection from the late 1980s through till 2014 when it entered its current custodianship. Chassis DB4/415/R has since been substantially improved. Treated to a ‘top-end’ engine overhaul including replacement big valve cylinder head by Motronic Automotive Services of Iver at a cost of some £9,411.47, the four-seater was subsequently dispatched to marque specialist Chicane Classics for over £30,000 worth of attention to its steering, brakes, front / rear suspension, exhaust and tyres etc. 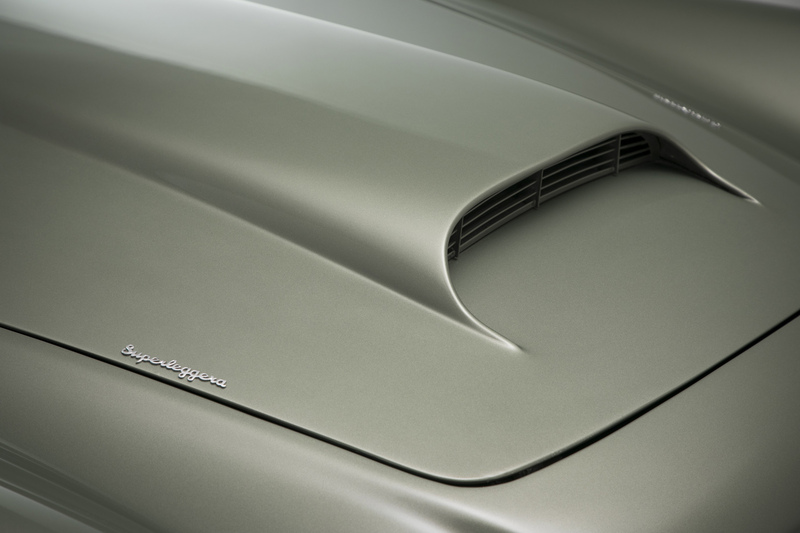 Cosmetically enhanced via a respray in the correct period colour option of Californian Sage Metallic. 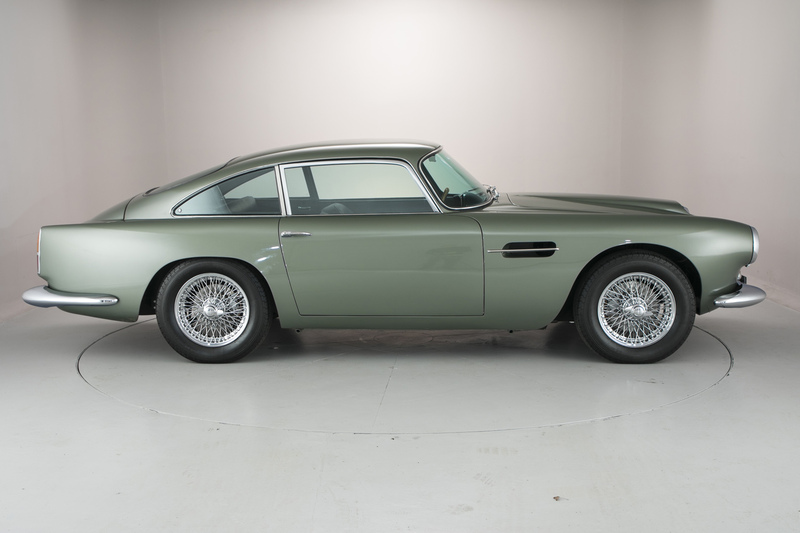 Trimmed in Black leather as per its build specification and reunited with its original registration number ‘SCT 415’, this rare Aston Martin DB4 Series II is offered for sale with its copy build record, copy continuation logbook and the aforementioned restoration invoices.